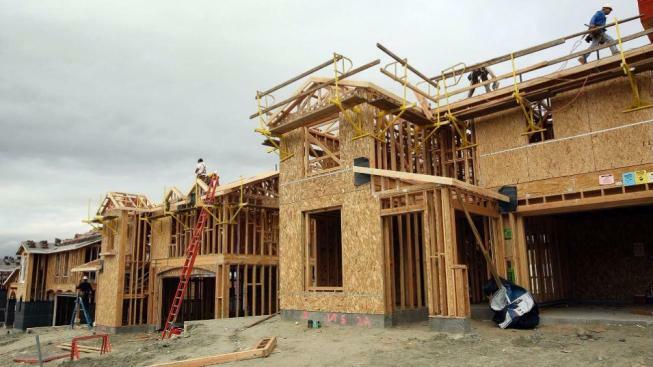 The housing crisis continues to deepen in the Bay Area where new housing construction projects can't seem to keep pace with the population boom, according to a new report released Thursday. Kris Sanchez reports. The housing crisis continues to deepen in the Bay Area where new housing construction projects can't seem to keep pace with the population boom, according to a new report released Thursday. In 2016, more than 34,000 people ditched California due to high housing costs and other pressures while the Bay Area, on the other hand, added roughly 2,000 more people during that time, according to the report put together by San Francisco nonprofit public policy group Next 10. But in the five years before, California only added 171 homes for every 1,000 people. To make matters worse, California features the highest home prices compared to others states, according to the report. The median home price of a Golden State home in 2016 was $266,750 higher than the national median. The report also found that while job growth and wages have increased for low-income, middle-income and high-income earners, pay for low-income earners has not necessarily kept pace with the other two groups. Average annual pay for low-income earners in the Golden State has risen 17 percent compared to one decade ago, according to the report. For the sake of comparison, middle-income earners have seen their pay rise 29 percent during that same time. High-income earners have welcomed a 42.5 percent jump.